The central character in this musical is played by a child. Female chorus could be larger than 1 and male chorus could be larger than 1. The committee is always looking for the smaller, quieter shows that invite the audience to lean in and take in a new kind of story. lift drew us in from the first page with it’s soulful and authentic voice and carried us through the deeply resonant resolution. lift was born on the page in 2007 as the first collaboration between playwright Daryl Lisa Fazio and composer Aaron McAllister. It took part in the York Theatre Company’s Developmental Reading Series in 2008 and had an industry reading in NYC in 2010. It was also a semifinalist for the 2010 NYMF’s Next Link Project and a finalist for the 2011 Fulton Theatre Discovery Project. In 2013, Coastal Carolina University developed a dramatically new draft in a week-long workshop that culminated in a fully staged public reading. lift features three generations of principal female characters. Strong, gutsy, complex women. We wrote lift’s first draft several years ago, as the first giddy collaboration between new friends. Since then, the musical has had two NYC readings, a week-long university workshop, and several big rewrites in which themes, approach, and characters have come into their own. lift is looking for collaborators who can help it grow further through readings and workshops, moving toward a full production. 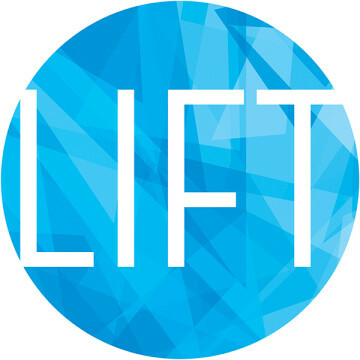 lift is entirely original material, envisioned from the beginning as a musical. Over a plate of vegetable fajitas, Daryl said she had an idea about a small town that’s experienced strange sightings. A musical about UFOs? Aaron chortled. Maybe not, we agreed. But how about we start with a community divided by an unexplained event? That conversation lasted six hours, and that nugget became lift. lift can be intimate or sweeping in set, scope, and cast. Either way the playing space should be fluid, with locations that melt together in time and place, just as the characters’ lives—and memories and imaginations (there is considerable magic) and songs—intersect and overlap. The creativity lies in how you find the extraordinary in the ordinary. When we did the workshop at Coastal Carolina University, Ethan’s dad—a ghostly memory—was played by a student who had lost his own father, a young UPS driver just like James. That student’s mother wrote us a moving email after the performance, telling us her story and how lift had allowed her to start processing an unfathomable loss with hope.